Summer cooking and eating is a special case. Here is a handy review post for you to access all of your summer tips I have written so far in one convenient place. Some are for safety, and some are for taste. You’ll be glad you looked at this quick review. Click on the links to see more. This has the most explicit information on food safety in the site, plus some helpful links. This is right on time for your next outing. There’s a fair amount here about how not to burn the house down or end up in the emergency room. You not find beer or sugary soda in this eclectic list. Despite my best efforts, many of my patients turned into hot messes this week. I’ve seen dehydration requiring hospitalization, kidney stones, preterm labor and urinary tract infections. All the wonderful summer activities have started and it has been over 90 degrees in the daytime. People are going and out and doing things and simply not keeping cool and hydrated. A couple days ago on Wednesday, I did a post about hydration. Today, I am going to highlight the cool summer foods. Main dishes do not have to be hot. They just have to be tasty and nutritious. Why heat up the kitchen ? Having said that, there are some foods like chicken which require cooking in bulk, and then refrigerating after. Today we will be thinking of food that can be served cold. Smoothies can be a meal if you are on the run. What make this successful are a couple things: the presence of protein, and a good large portable cup for your smoothy so you can take it with you. The fruit part of a smoothy is easy to make since you can use almost any fruit combination that you like. The challenge is adding enough protein that will not detract from the taste. Some non pregnant folks add raw egg, but this is not recommended. Egg whites powder can be obtained at a health food the store, as can whey and vegan protein powders. These classic protein powders are a good choice in moderation. To add more protein, kefir, a cultured milk, or plain yogurt is a good choice, conferring a pleasant tanginess to the smoothy. You can also add zing by lemon or lime juice, or even a teaspoon or so of frozen concentrated orange juice. Speaking of sweeteners, restrain yourself. Your sense of sweet will become more sensitive as you use less and less sweetener. Trust me. Half a banana per smoothly would be plenty. Do a tiny bit of agave if you must. Salads are an obvious choice in the summer. But let’s not restrict our thinking to leafy green salads. Salads can be made entirely without lettuce or fresh greens. In some ways in the summer, this is safer, since other vegetables spoil less readily. I call these hard salads. This is because they are made with harder vegetables. Some people call these chopped salads. For example, we commonly make a salad of diced cucumber, tomatoes, olives, and various colors of peppers. It is tossed in a vinaigrette and keeps forever. This is akin to the classic bruschetta. You can also make a shredded hard salad from grated carrots and two colors of cabbage. Dress this in a creamy vinaigrette and you have a version of cole slaw, which might as well be called cold slaw since it is served cold. Do you add raisins ? Take a walk on the wild side. Hard salads are not limited to vegetables. They can also be made from roots, such as diced carrots, beets, turnips, and even squash. Steam or roast these in advance, then toss in a boldly flavored vinaigrette. Throw in some peas for color and protein. Those who tolerate legumes can add canned beans. There is even a three bean salad in most picnic cookbooks. Get corn involved and one gets tantalizingly close to salsa when the tomatoes and peppers end up in the same salad. Notice I have have not strayed into the wheat, rice potato or pasta based salads. Those can be healthy for some with high energy requirements, (adolescents or athletes), but most people do not need starchy storage foods such as these. Do add fish, chicken eggs and meat into your salads. These make them a meal. One caveat: Spice these complete proteins more than usual since the salad will dilute the flavor. Fresh sweet flavors like tomato paired with savory spiced meats are perfect for summer. An easy source of fish is canned salmon. Of course leftover meats and poultry from a large dinners can be used to round out a cold summer salad meal. Grilled foods also go well in salads, adding smoky flavor. Finally, fruit salads make an ideal summer dessert. Fruits are in season and taste their best. Pair your fruit with a foil, a contrast, such as balsamic vinegar, or the more traditional cream. Stay cool in the kitchen this week as you celebrate. More than a few ladies came in to clinic this week looking like lobsters. So I write again to give you the perspective your future self would have wanted your present day self to have. Sun protection will reduce your cancer risk. It will also protect from general skin deterioration. We have all seen wrinkles, crepe-y skin, blotchy discolored skin, overtanned depigmentation spots and, yes, skin cancer. With the advance of medical care, technology and nutrition, we can expect ever increasing lifespans. This means we have to take of our bodies so that they will last even longer than before. You might ask why skin deteriorates since the actual matter of our skin recycles about every three months. This is a very interesting question whose answer should motivate you to have good sun protection. If you injure your skin with a bad sunburn, one so bad that you peel, new healthy skin grows up from beneath. Aren’t you good then ? Well, the new skin is good. However, unbeknownst to you, the DNA of the deeper cells which have generated the layer has been damaged. This DNA damage is what reduces the error correcting ability of the cells over the long term. Error correction ? Aren't cells identical when one divides to two ? Yes and no. They are mostly identical. But over time, imperfections in the cell division occur and errors are generated and build up. Damaged DNA leads to more errors. This is what eventually gives rise to the skin damage listed earlier. The DNA is damaged by the uv light, whether it be from the sun, or a tanning booth. Protection is a matter of timing, clothing, and sunscreen. It is also a matter of the correct use of sunscreen. Summer fruit is not just something to eat. It is a family project. It is a creative endeavor, and it is Holiday preparation. Finally it's a great bargain. Most people think of boxes of ripe summer fruit as the mere predecessors of pies and cobbler. I love fresh pie and cobbler as much as anyone else, but there is only so much you can eat and stay healthy. Consider the price of frozen fruit at the grocery store, even Costco. Frozen fruit is a premium item, and if you have ever tended a tree or picked a bushel of fruit you will know why. But, to go to a produce vendor for a box of ripe fruit in season, you will pay a fair price for an excellent product. But you must buy it by the box or bushel, which might be daunting to some. Take courage ! To freeze you need only freezer worthy ziplock bags, some time, and some lemon juice. Freeze by the quart or by the gallon. To dry, you need patience, an oven, a very hot day, or a dehydrator. With a little more cleverness and maybe a recipe, you can make fruit leathers, which are a most welcome gift. Now is the time to get some made to give at the holidays. Jam has less sugar than jelly and is a suitable treat or gift when home made. Delve into the exotic fruit spiked salsas, and you will have serious trouble keeping it around. To be fair, you will need some equipment. First you will need large bowls and pots. You will also need many hands to help wash and slice. The thrifty among you will want the largest good freezer you can afford. 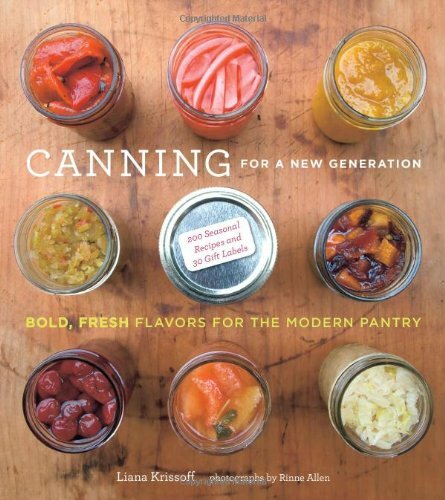 Canning pots and tools are relatively inexpensive, and jars are a common item at garage sales. Just be sure they are in good condition and not chipped. Finally for the connoisseurs, you will want a proper dehydrator. 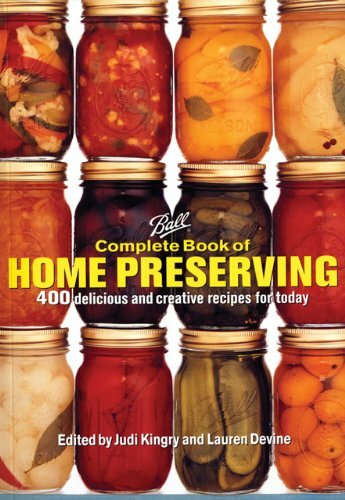 And by all means indulge yourself in one of the many beautiful books about preserving. 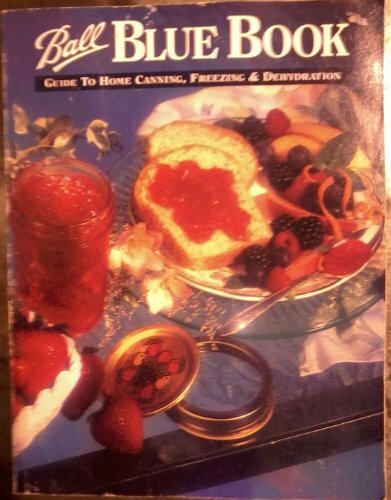 You may as well get the gold standard, the Ball Blue Book Guide to Canning and Preserving. If you do this sort of kitchen magic with the kids, they will be fascinated. Photo document your fun and you will be blog- worthy and an instagram hit ! You will also have a really good spoon to lick. Have you ever mentioned that the weather was dreary ? Well I did one day and haven't since. I said this in passing to a long time patient of mine. She, being older, wiser and a breast cancer survivor, gave me that look, and said simply, " Dr Nelson, ALL weather is good weather. ". Point taken. So when you consider the driving rain, flat grey clouds, or even the pounding sun, remember my patient's wisdom, and enjoy the weather for what it is. My daughter, when very small, had a peculiar habit. In the dead of winter, she would stand in the snow and say, " I wish I could feel the hot sun beating down on me ". In the summer, when it was hot, she would, I kid you not, say, " I wish I could roll in the snow." Finally I said to her, if you could love the cold in winter and the heat in summer, and not the other way around, you would be the happiest girl ever. And so I recommend this attitude to you. But as a doctor I would say the key to enjoying any and all weather is preparation. Chose your outings wisely. Dress in layers and carry plenty of water and sunscreen. Pack lots of healthy snacks to keep everyone happy. Summer is for adventure and fun, not stress and discomfort. And remember, all weather is good weather.